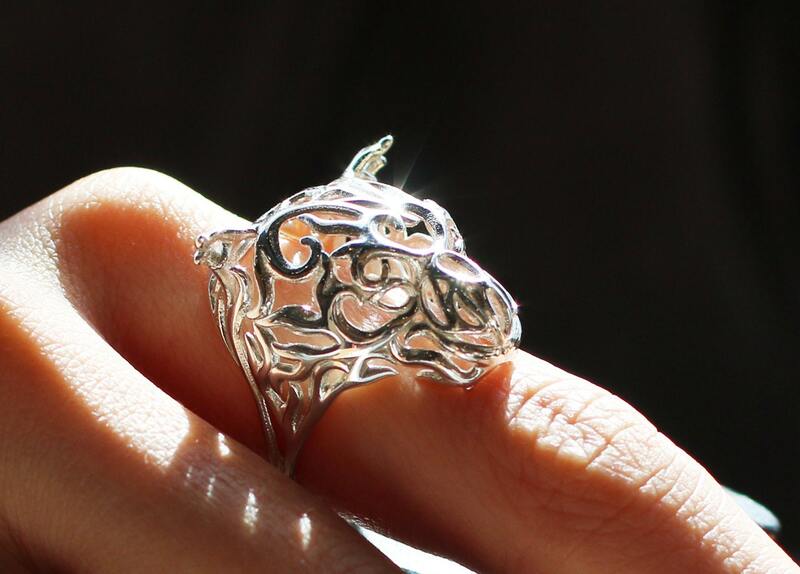 The Tiger is one of the twelve-year animal cycle which appear in the Chinese zodiac. The Tiger's nature to seek out opportunities wherever they can in an attempt to improve their abilities and hone their profession. 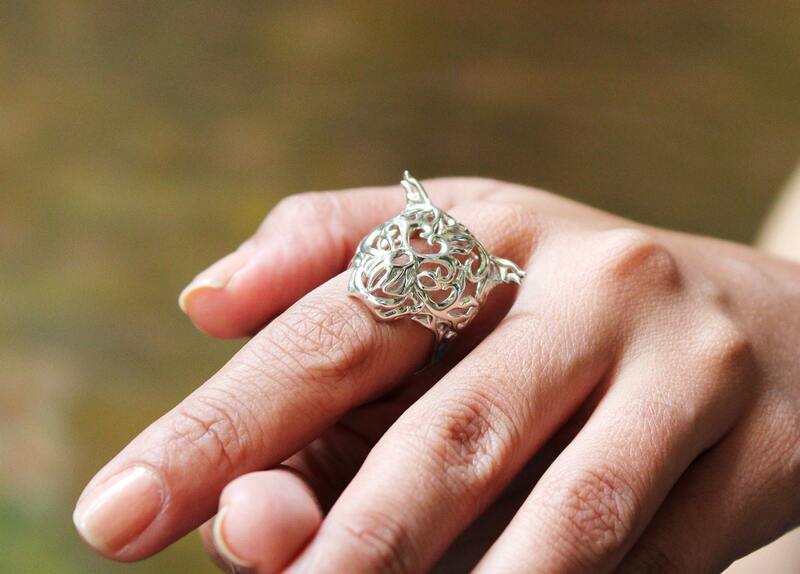 It represents strength, courage, and determination. 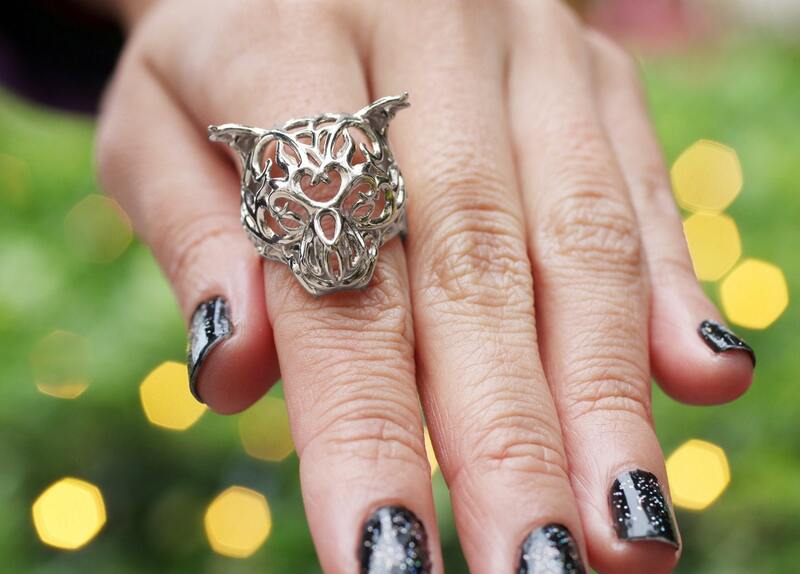 The Beautiful tiger ring with delicate patterns of lace is made out of Desmond’s intention is to bring the wearer beauty, good luck and love in life. 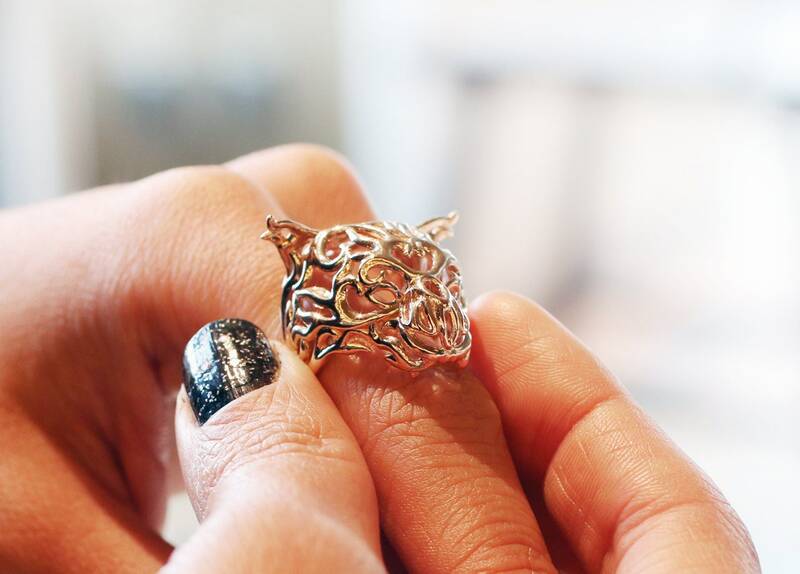 The Tiger Ring is 3D printed from wax and cast in sterling silver. 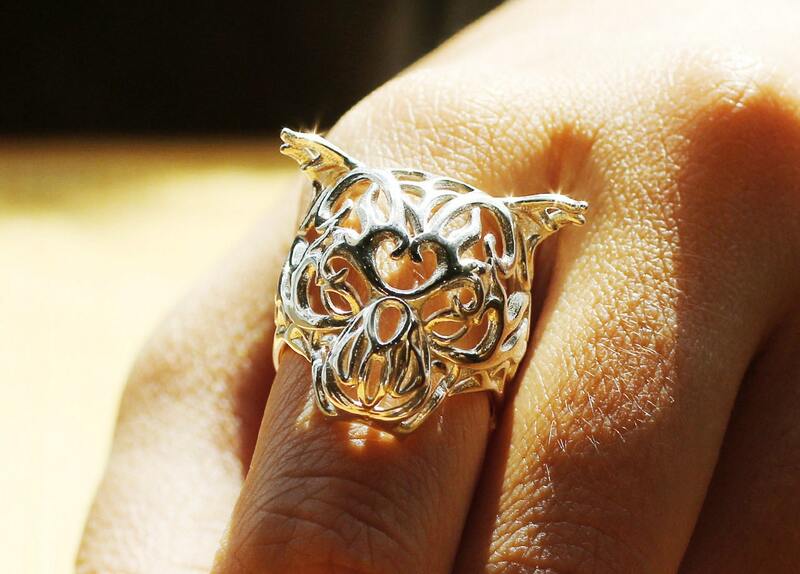 Each ring is made to order, it can be custom made in your size. 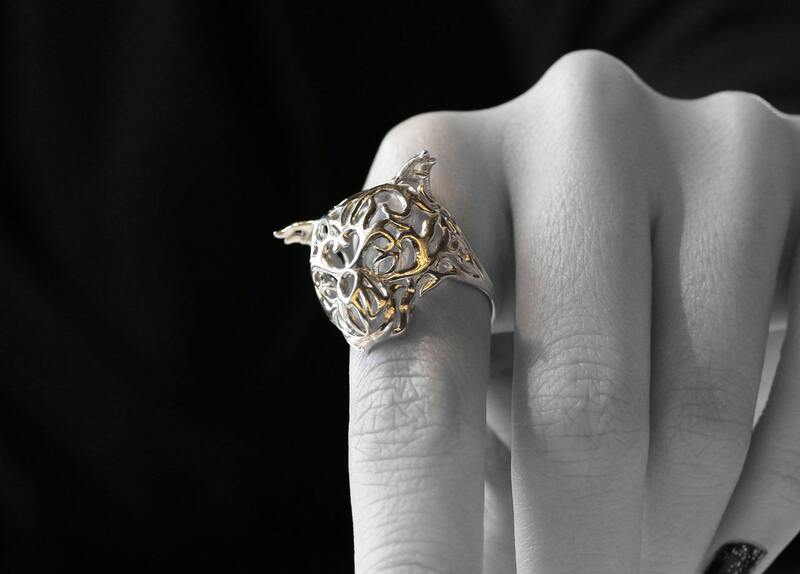 It can also be printed in sterling silver with 18k gold plating, 14k gold or 18k gold. Please contact me for prices in these materials.